December 2018- Rhonda’s ad features (2) beautiful homes in Windward – cottage style homes located on the water in The Spinnakers. See page 9. 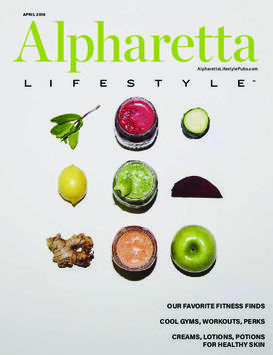 Also on pages 22-23 meet (2) of Rhonda’s clients who are now enjoying city living in Downtown Alpharetta. 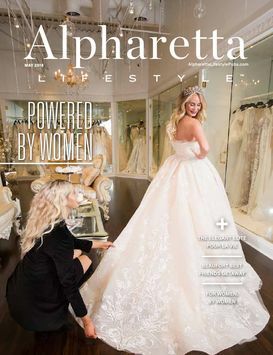 November 2018- Rhonda’s ad features a beautiful home in the White Columns neighborhood of Alpharetta. See page 21 of this issue. October 2018 – Rhonda’s ad features another new lakefront property in Windward – 135 Staghound Court. 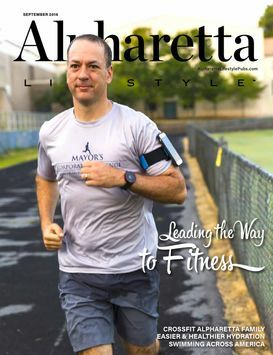 See page 9 of this issue. September 2018 – Rhonda’s ad features the fabulous lakefront property of 3700 Schooner Ridge in Windward – upscale luxury lake living! See pages 22-23 of this issue. 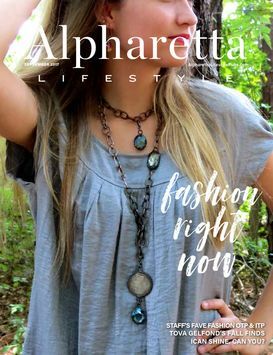 August 2018 – Rhonda’s featured ad is on page 11 of the August issue. 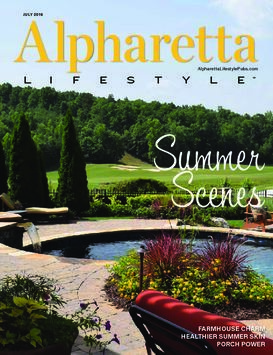 This month we feature the fabulous properties of Park Bridge in Alpharetta. July 2018 – Rhonda’s featured ad is on page 3 of the July issue. 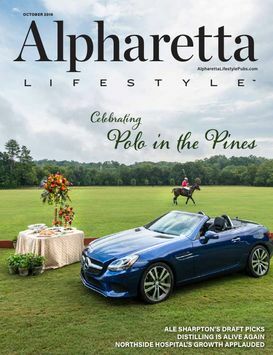 The ad features one of her latest listings – farmhouse living in Alpharetta at 7173 Surrey Point. Also in this issue, Rhonda’s listing at 520 Flying Scot has its stunning backyard pool being featured in the article. See it on pages 18-21. June 2018 – Rhonda’s featured ad is on page 3 of the June issue. The ad features one of the her latest listings – beautiful lakefront property in Windward. 320 Dashing Wave Lane. Could this be your dream home? Click the link below to read the latest June issue. May 2018 – Rhonda’s featured ad is on page 9 of the May issue. The ad features her latest listings – maybe one of them is your next Dream Home! Click the link to read the latest issue for May. April 2018 – Rhonda’s featured ad is on page 5 of the April issue. The ad features her (2) latest listings which are Lake Windward Golf Course properties. Click the link to read the latest issue for April. 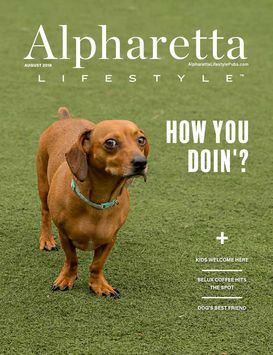 March 2018 – View the latest homes sold in Alpharetta, Roswell, Johns Creek and Milton Area. Click the link to read the March issue. Our winners picture for the Readers Choice Awards is on page 8 and check out our 7 Tips to get your home ready to sell on page 28. 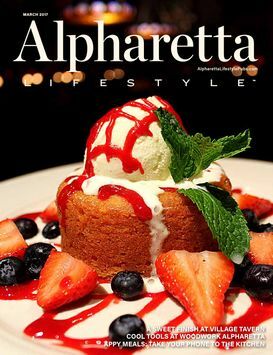 February 2018 – View the latest homes sold in Alpharetta, Roswell, Johns Creek and Milton Area. Click the link to read the February issue. Its the Readers Choice edition and RSRE was voted Best Realtor in the Area! Check us out on page 26. 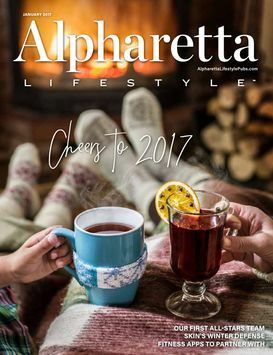 January 2018– View the latest homes sold in Alpharetta, Roswell, Johns Creek and Milton Areas. Click the link to read the January issue. 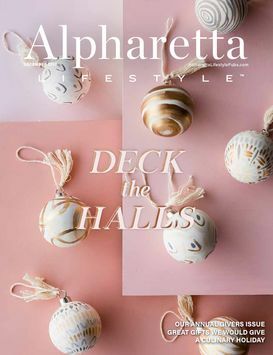 December 2017-View the latest homes sold in Alpharetta, Roswell and Milton Areas. Click the link to read the December issue. 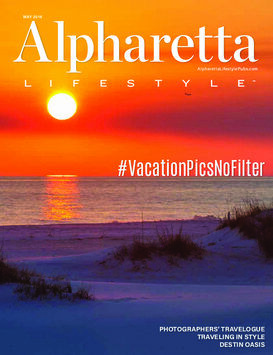 November 2017-View the latest homes sold in Alpharetta, Roswell and Milton Areas. Click the link to read the November issue. October 2017-View the latest homes sold in Alpharetta, Roswell and Milton Areas. Click the link to read the October issue. 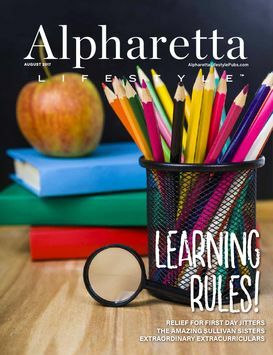 September 2017 – View the latest homes sold in Alpharetta, Roswell, and Milton Areas. Click the link to read the September issue. 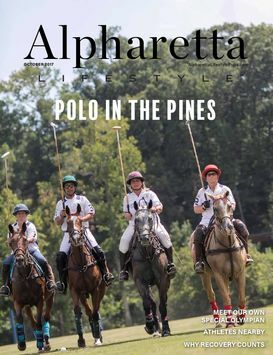 August 2017 – View the latest homes sold in Alpharetta, Roswell, and Milton Areas Click the link to read the August issue. 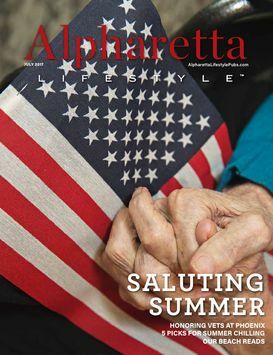 July 2017 – View the latest homes sold in Alpharetta, Roswell and Milton Areas. Click the link to read the July issue. 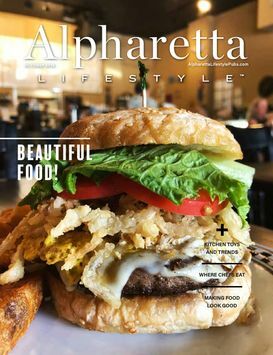 June 2017 – View the latest homes sold in Alpharetta, Roswell and Milton Areas. Click the link to read the June issue and see Celebrity Ron White’s beautiful estate for sale in The River Club! 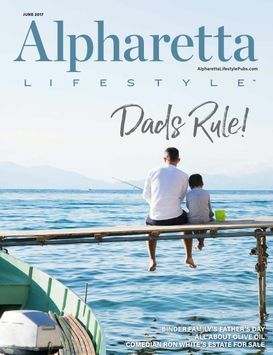 May 2017 – View the latest homes sold in Alpharetta, Roswell and Milton Areas. Click the link to read the May issue. 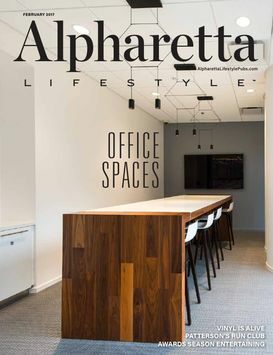 April 2017 – View the latest homes sold in Alpharetta, Roswell and Milton Areas. Click the link to read the April issue and to see Rhonda’s featured article on home improvements that give you the best bang for your buck! 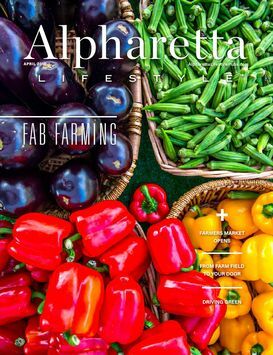 March 2017 – View the latest homes sold in the Alpharetta, Roswell and Milton Areas. Click the link to read the March issue and to see Rhonda Shell Real Estates recent ad. 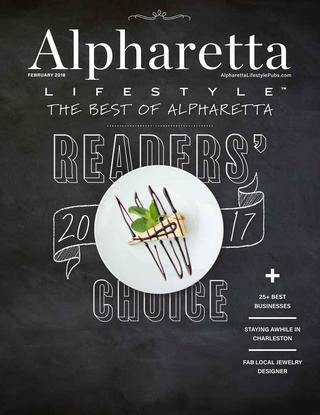 February 2017 – View the latest homes sold in the Alpharetta, Roswell and Milton Areas. Click the link to read the February issue and to see Rhonda Shell Real Estates recent ad. 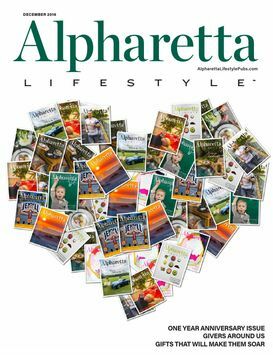 January 2017 – View the latest homes sold in the Alpharetta, Roswell and Milton Areas. 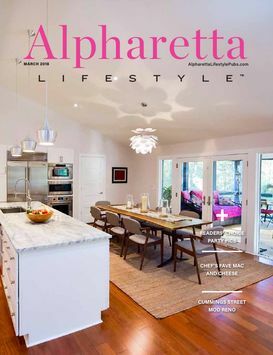 Click the link to read the January issue and see Rhonda’s beautiful home listing on Fox Road in Alpharetta!! 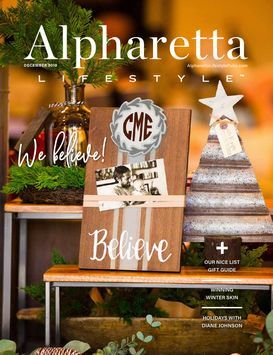 December 2016– View the latest homes sold in the Alpharetta, Roswell, Johns Creek and Milton areas. Click the link to read the December issue and to see Rhonda Shell Real Estates recent ad. 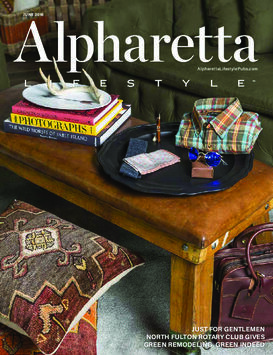 November 2016 – November features the Home Issue for Alpharetta Lifestyle Publications. 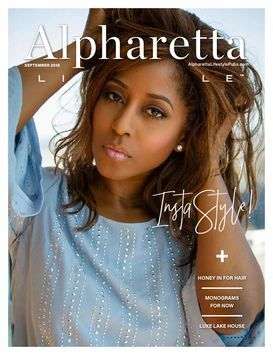 This month not only can you view the latest homes sold in the Alpharetta, Roswell, Johns Creek and Milton areas, but you can see the featured article on Living In Windward, featuring Rhonda Shell and some of her clients. Click the link to read the November issue and to see Rhonda Shell Real Estates recent ads. 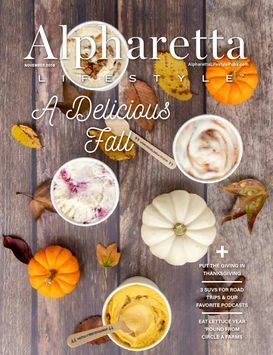 October 2016 – View the latest homes sold in the Alpharetta, Roswell, Johns Creek and Milton areas. Click the link to read the October issue and to see Rhonda Shell Real Estates recent ad. 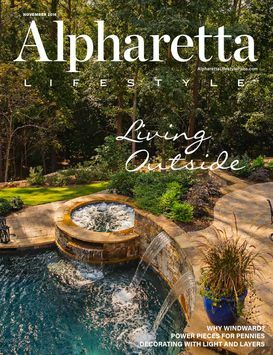 September 2016 – View the latest homes sold in the Alpharetta, Roswell, Johns Creek and Milton areas. Click the link to read the September issue and to see Rhonda Shell Real Estates recent ad. 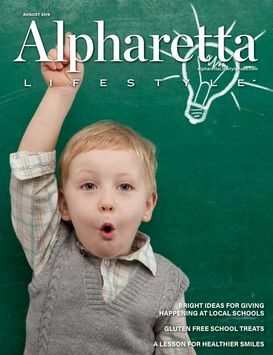 August 2106 – View the latest homes sold in the Alpharetta, Roswell Johns Creek and Milton areas. Click the link to read the August issue and to see Rhonda Shell Real Estates recent ad. JULY 2016 – In this issue, one of Rhonda’s recent properties is featured! 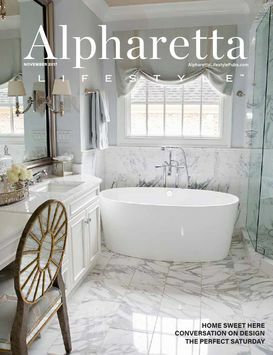 You can also view the latest homes sold in Alpharetta, Roswell, Johns Creek and Milton areas. Click the link to read the July issue and to see Rhonda Shell Real Estates recent ad. 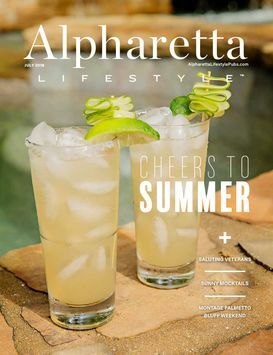 JUNE 2016 – View the latest homes sold in the Alpharetta, Roswell, Johns Creek and Milton areas. Click the link to read the June issue and to see Rhonda Shell Real Estates recent ad. 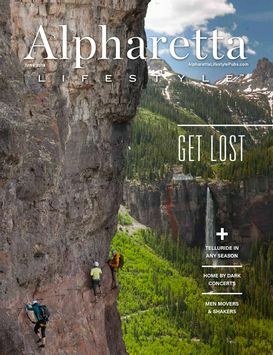 MAY 2016 – View the latest homes sold in the Alpharetta, Roswell, Johns Creek and Milton areas. Click the link to read the May issue and to see Rhonda Shell Real Estates recent ad. 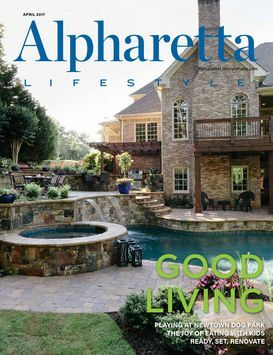 APRIL 2016 – Rhonda Shell Real Estate is the realtor of choice for the new Alpharetta Lifestyle magazine now in circulation around the area. Keep up to date with homes that have sold in the area as well which homes have been recently listed for sale.